We have had a number of enquiries about boxes, so here's the latest news about the 24-hole boxes we have in stock. 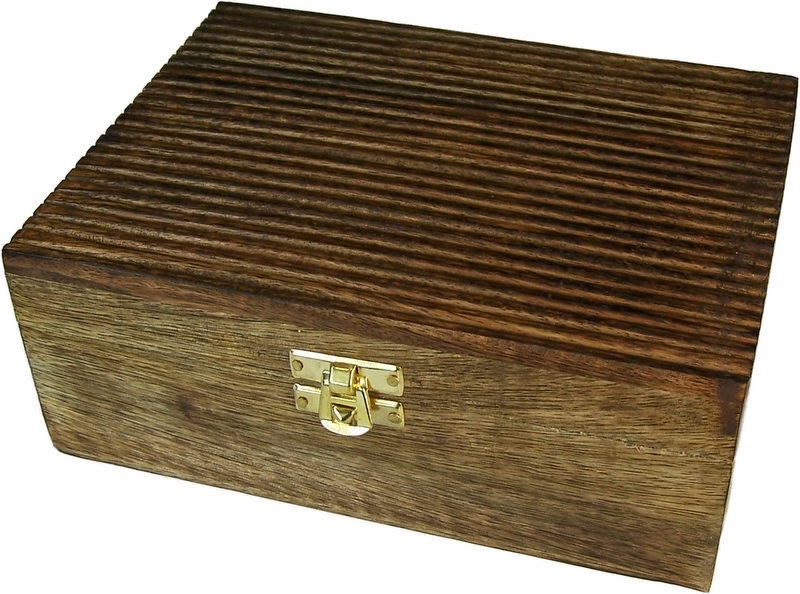 We now have some beautifully carved hardwood boxes with brass inlay (capacity: 24 x 5ml bottles), which are on the site at £15. I hope you like them, here they are: roll of drums and fanfare - ta da!! What about that summer we've just had? I use the past tense because we have now returned to our normal summer, which is indistinguishable from winter. I don't know about you but I love the sunshine, which seems to put everyone in a better mood. I actually heard some people complaining that it was too hot! This is of course a typically British response - we love to complain, especially about the weather (Ali, as a Canadian, I know you are far too sensible to indulge in that sort of thing). Anyway, I was going to mention the fact that we have managed to obtain top-quality supplies of a few items in the creams line that have been missing from our lists for a while. I'm pleased to announce that we now can offer once again the Apricot Kernel Facial Scrub, in which the finely milled apricot kernel shells penetrate the skin, removing dead cells, producing a softening and toning effect. This scub was previously only available in 60ml jars, but now we are able to supply the product in 120ml and 200ml sizes, which are relatively better value. Look out also for Calendula Cream, and base products White Lotion and Cleanser. This is an photo of our 24 hole aromatherapy box, which can accommodate 5ml and/or 10ml bottles. The price remains at £10.